On the heels of their US tour with Australian band San Cisco and preempting their upcoming west coast tour, Brooklyn-based band MOTHXR treated fans to a last minute show on their home turf. On the evening of Thursday, August 13th, the band began sending out a social media blast inviting fans to join them the following evening at one of their favorite venues, Baby’s All Right in Williamsburg. The announcement of the surprise show sent fans buzzing. Supporters packed by the stage with an electric energy. You could hear the murmur of fans discussing other times they’ve seen the band play and the excitement of new fans who were seeing them for the very first time. The band immediately radiated a vibe of “effortless cool” as they walked up to the stage while the crowd cheered for their arrival. 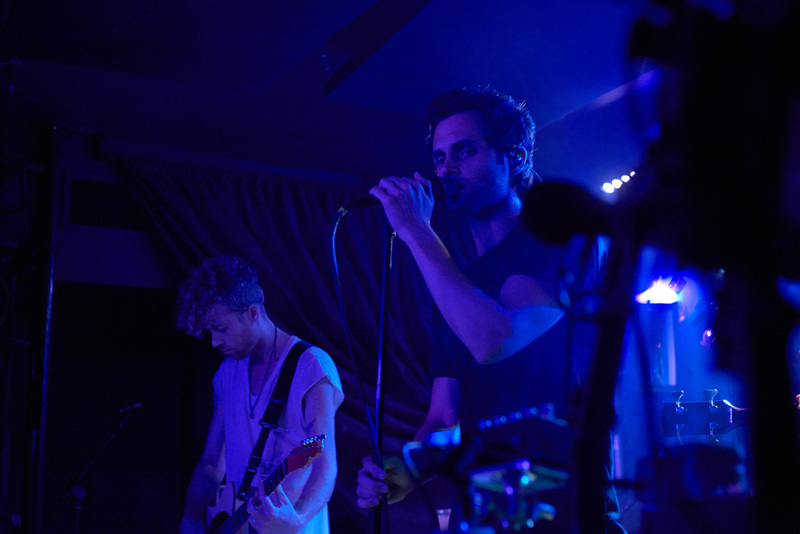 With Simon Oscroft on guitar, Darren Will on keyboard, Jimmy Giannopoulos on bass, and Penn Badgley doing vocals, the boys took their places, greeted the crowd, and wasted no time getting into what everyone was there for: the music. Fans were treated with favorite songs such as “Stranger” and “Easy,” as well as some new songs. “Impossible,” which is expected to be released on their new LP, has a chill, easy going beat, matched with Badgley’s smooth voice layered over it making the words “Cut you out (you’re impossible)” words you almost wouldn’t mind hearing. After the show came to a close, you could hear people outside of the venue speculating over when the new LP would come out and gushing about how great the band was. Do not miss your chance to see them perform on their California mini tour September 14th - 20th and keep an eye out early 2016 for their LP.